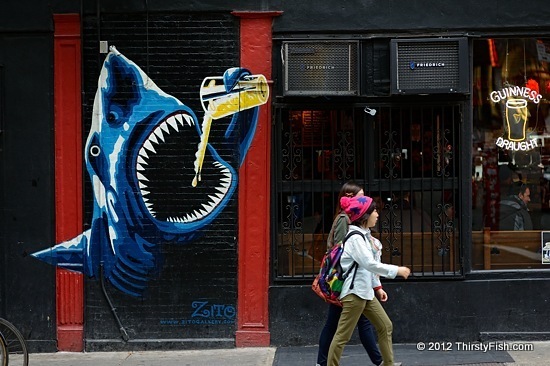 This shark mural covers the wall of Spring Lounge, a.k.a. the Shark Bar, located on the corner of Spring and Mulberry streets. This site, ThirstyFish.com, kicked off exactly two years ago, on December 31, 2010, with a photo of a Lunar Eclipse. That's a "photo a day" for 732 consecutive days. Some were good, others, not so much. What do you think? You can click the blue @ button on the right to email me.